For syncing data like passwords, bookmarks in firefox browser across multiple computers, Foxmarks was a good tool (firefox add-on) but there is another good alternative that the firefox team is building, named Weave. Its going to help you sync all the firefox data in such a way that you can use the same in multiple desktops, laptops, phones etc. and extend your experience in firefox. 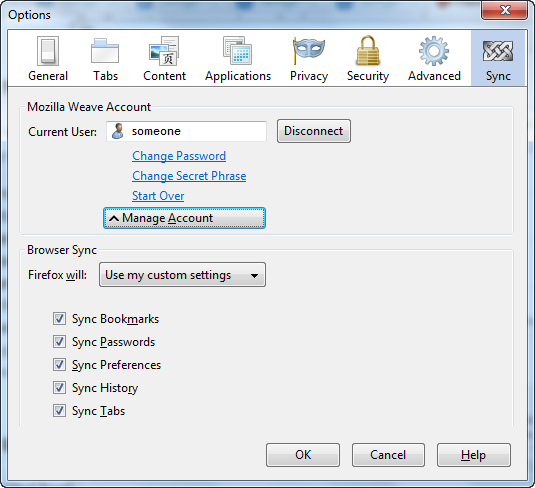 The firefox add-on works with Firefox 3.5 and later versions! Its a good alternative for XMarks as it has more features and its a secured add-on to save and sync most of the firefox data! Download from here.